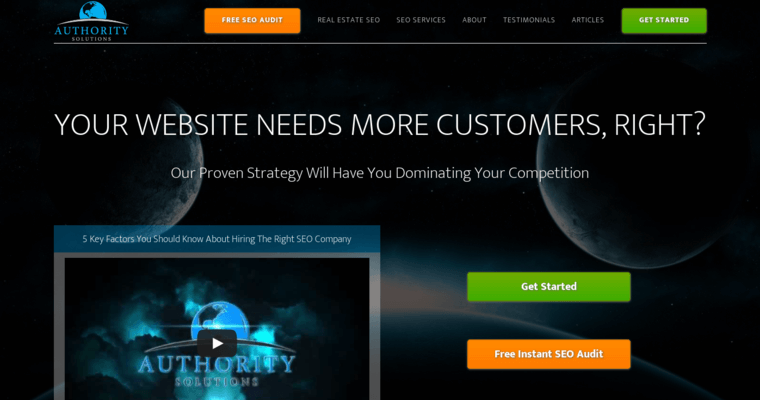 Authority Solutions is an online marketing agency that has become an industry leader by putting clients first in everything that they do. Although the firm offers a full range of services, Authority Solutions is being awarded right now for its excellence in the field of search engine optimization. 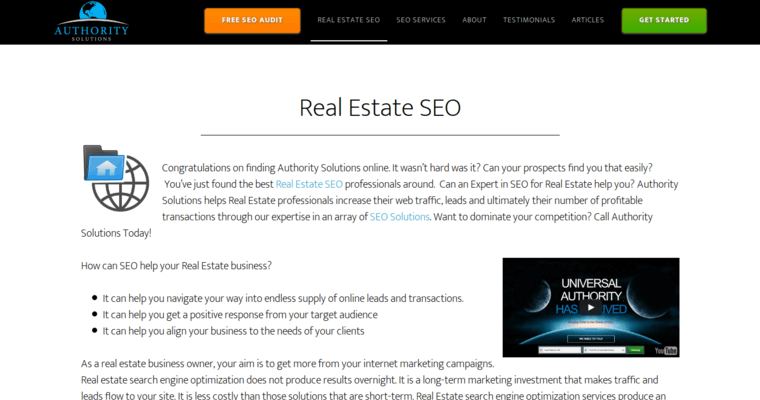 At first, the firms promise to provide clients with endless leads via SEO may sound boastful. However, when you take a look at the firm's online portfolio, you will recognize that Authority Solutions can follow through on their promises. They have developed a proprietary strategy that enables them to get exceptional results for every client. 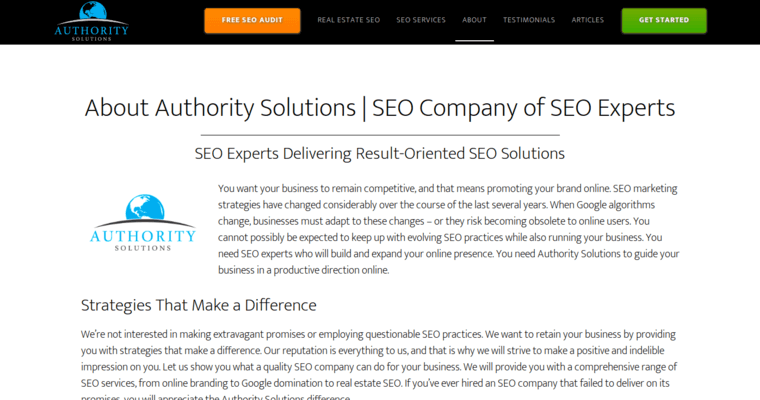 In addition to performing standard local and global SEO services, Authority Solutions provides specialized services for law firms, real estate companies, and medical practitioners. As a Google Measurement Partner, businesses can rest assured that Authority Solutions has the best training and insights to create successful SEO strategies.